Out of curiosity, I asked my family about the first dish that comes to mind when they think of Chinese food: dim sum, fried rice and stir-fried noodles. But it’s so much more than just xiao long baos and chicken chow mein, as the cuisine offers endless variations and styles, each unique in its own way. What can be agreed upon is that Chinese food is loved by many, especially by us foodies. 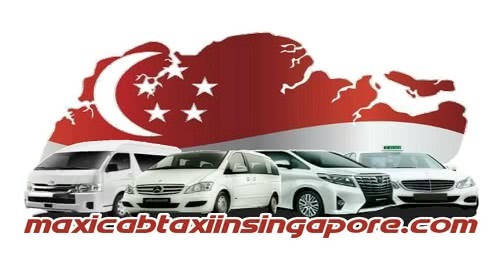 Here are 10 Chinese restaurants in Singapore we can vouch for that we know both you and your family will love. 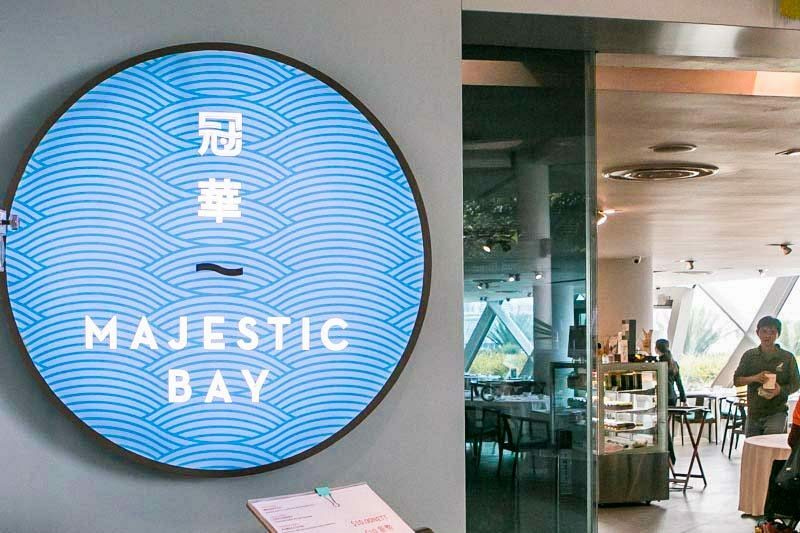 Majestic Bay definitely lives up to being majestic by offering the freshest seafood you can find, served in a brightly-lit and elegant restaurant at Gardens By The Bay. You might think that the bill will burn a hole in your (dad’s) pocket, but the wide variety of dishes are reasonably priced considering the great quality of all the ingredients. If you love garlic, the Crispy Sea Prawns in Light Soya Sauce and Smashed Garlic ($30) is to-die-for. A mountain of prawns smeared in soya sauce towers over the plate with garlic cloves lying on shredded greens. The huge prawns were juicy from the sweet yet salty sauce, making them extra succulent. Bonus points for being de-shelled as well, so even the lazy members of your family can enjoy! Mala. Mala everywhere. This spicy, oily sauce craze heavily features in Qi — House of Sichuan that’s located at Marina Bay Link Mall. The branch in Hong Kong has been awarded one Michelin star for the past three years since 2016, so you know these guys mean business. You’ll have to standby a glass of milk before digging into the Braised Garoupa Fish Fillet in Chilli Oil Soup ($50); the giant bowl comes brimming with a myriad of spices, sweet potato noodles and plump garoupa fillets. The soup may initially come across as too overwhelming, but it was light and surprisingly had only a thin layer of oil. Be warned though, this isn’t for the faint-hearted, but it sure is addictive. We all know a mala-loving family member who would take on the challenge. Alan Yau, the founder of renowned UK-based Wagamama chain and Michelin-starred award-winning Hakkasan, launched Madame Fan in Singapore to allow his playful and mouthwatering creations of Chinese fine-dining to come to life. Meat-lovers must try the Jasmine Tea Smoked Ribs ($35++) that consist of an entire honey-glazed rack of meat, crusted with an exquisite char. There were a subtle smokiness and a wave of pleasant floral notes from the jasmine which was delightfully different. And if you’re super lucky, you might be able to meet Alan Yau in person when you’re there! In an attempt to resurrect traditional Lingnan cuisine, Circa 1912 believes in going back to the basics, strictly using only the highest quality ingredients to ensure a pleasurable journey to the flavours of the past. Inspired by the year 1912 in Lingnan when culinary artistry blossomed, the dishes are truly quite out of the ordinary. This unconventionality was especially evident in the Wor Pao ($6), which was served pretty much inside-out. Made with natural fruit sugars, the meat filling was sweet and moist, pairing well with the mushroom and sweet Chinese sausage. Even the bun had a nice, pillowy texture. Can you say that you’ve ever eaten a bao in this way before? Fun for the whole family! Some may think that congee is only for days when you’re sick and lying in bed. The congee at Mui Kee Congee however, appeals to one and all, because their bowls of gruel are packed with marvellous umami. While the Sliced Threadfin ($16) congee looks simple, it actually took five painstaking hours of preparation. First, the mashed century eggs and raw rice grains are stirred together, then pork bones along with fish stock are poured and mixed in every five to 10 minutes. The result? A bowl of thick yet smooth porridge embedded with fried fish slices emanating wok hei and a hint of ginger. No wonder the congee is approved by Tai Tais back in Hong Kong. Lokkee, an American-Chinese concept restaurant by Tung Lok Group, is nestled in Plaza Singapura in vibrant shades of red. The recipes used merge the two countries into one, sending out exuberant and experimental dishes most of us aren’t familiar with (unless you’ve stayed in the States). A dish that does feature flavours we’re all familiar with is the Sichuan Mala Grilled Fish ($58) that comprises a charcoal-grilled barramundi lying on a bed of Chinese lettuce and tofu skin, surrounded by a pool of bubbling broth. Garnished with Sichuan pepper and a sambal sauce, the fish was fresh and sweet, balanced by a numbing but delectable spiciness. This is a must-order when you’re at Lokkee! Dai Lou means ‘big boss’ in Cantonese. You and your family will be well taken care of by the head chef once you set foot in this Cantonese family-style restaurant that features both traditional zi char and Chinese dishes with modern twists. Prepared using Dai Lou’s top-secret recipe, the Golden Sand Chicken ($10 for small, $15 for medium, $20 for large) will make you wish you could find out how the golden sand batter creates such a beautifully crisp layer over the chicken. The tender and juicy chicken paired with powdery chicken floss and drizzled with sweet mayonnaise will make you want to get the Large right from the start. With a history of over 60 years and branches in Guangzhou, Hong Kong and even Canada, the Yin Ji 银记肠粉店 chain naturally gives one high expectations. And as Singapore’s first cloth-pulled chang fen (rice roll) speciality store, the anticipation is only further amplified. Thankfully, these expectations are not only met – they’re exceeded. House-made-everything is the best and I can definitely say the same for their Tender Pork Roll ($5.50), which comes stuffed with vegetables and soft pork slices. The chewy skin of the chang fen, tender meat, and the savoury light soy sauce will make it so easy to gobble up the entire roll in one go that it’ll leave you and the fam hankering for more. Fusion cuisine is a hit-and-miss, but that’s no concern to Chengdu-Western fusion restaurant Birds of a Feather. Chengdu, the capital of southwestern China’s Sichuan province, is distinguished for its fiery cuisine, and here that’s elevated with contemporary elements of Western fare. Spice is everything to Sichuan cuisine and the Spicy Oriental Angel Hair Bolognese with Onsen Tamago ($22) daintily features thinly veiled pasta adorned with fresh kale, sun-dried tomatoes and thinly-sliced lotus root, all packed with a pungent Sichuan spicy aroma. The onsen tamago enhances the flavour of the noodles, giving it more of a punch. This is one fusion dish that your family will be thanking you for. What better way than to end this list with The Chinese Kitchen along Cavan Road? Inspired by the 50s and 60s, the restaurant serves oldie but goldie classic dishes that use traditional recipes. With Chef Austen, former President of Society of Chinese Cuisine Chef (Singapore), at the helm, you know you’re in for a deliciously authentic meal. The Signature Old Fifty Collagen Broth (Ocean Catch) ($38 for standard size, $55 for upsize) is definitely the go-to dish on a rainy day. Infused with chicken, duck, pork and fish skin, the broth was rich yet smooth as it was boiled over a slow fire for at least 10 hours. Don’t even hesitate – just go for the upsize.